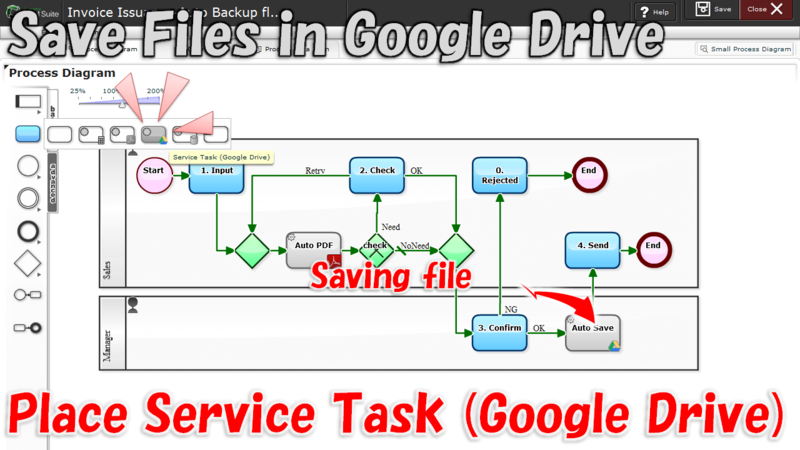 By placing "Service Task (Google Drive)", Auto-backup to Google Drive, in the middle of a flow,File type data is automatically backed up to the Google Drive at the moment the issue arriving to it. For example, you can transfer 'Invoice PDF which has been approved by the supervisor' to Google Drive automatically. 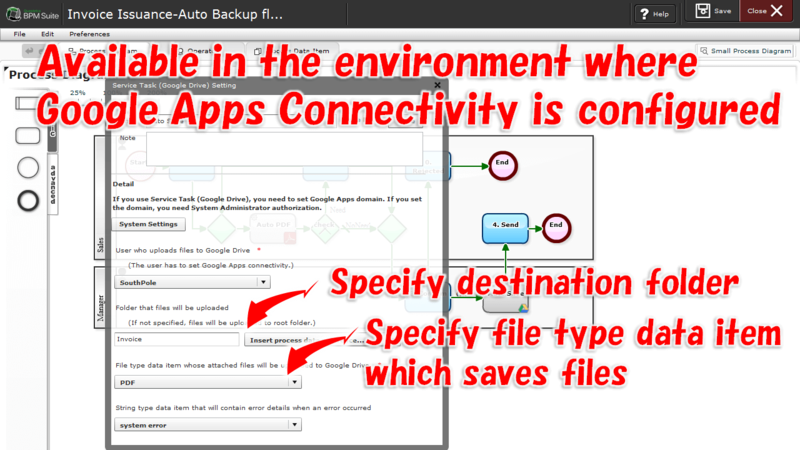 If the name of the destination folder is blank, the file will be stored directly under the "My Drive"
How to Download the Data of Issues.